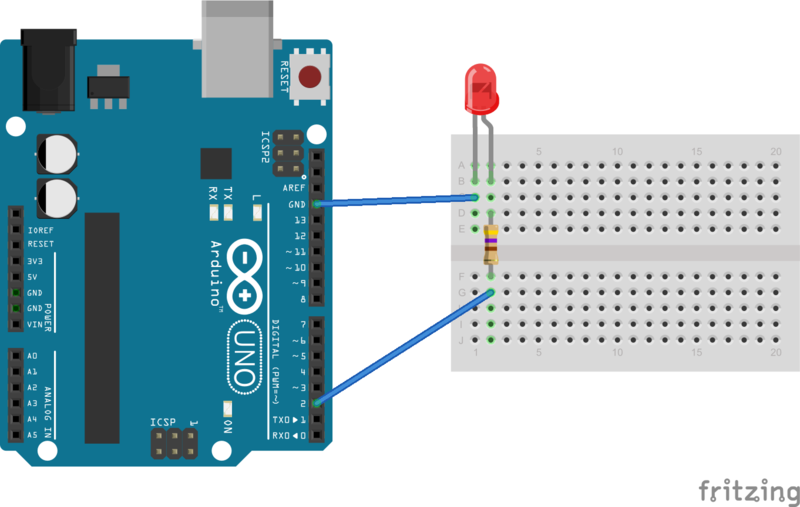 The ability to flash an LED is the most basic ‘hello world’ type of program you can write and run on your arduino. 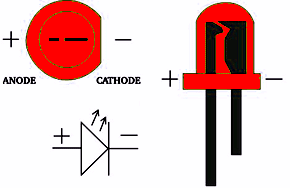 Here is what you will build, watch the polarity of the LED, the image below shows how to tell the positive (anode) and negative (cathode) apart. As you can see the cathode is connected to the GND on the Arduino. 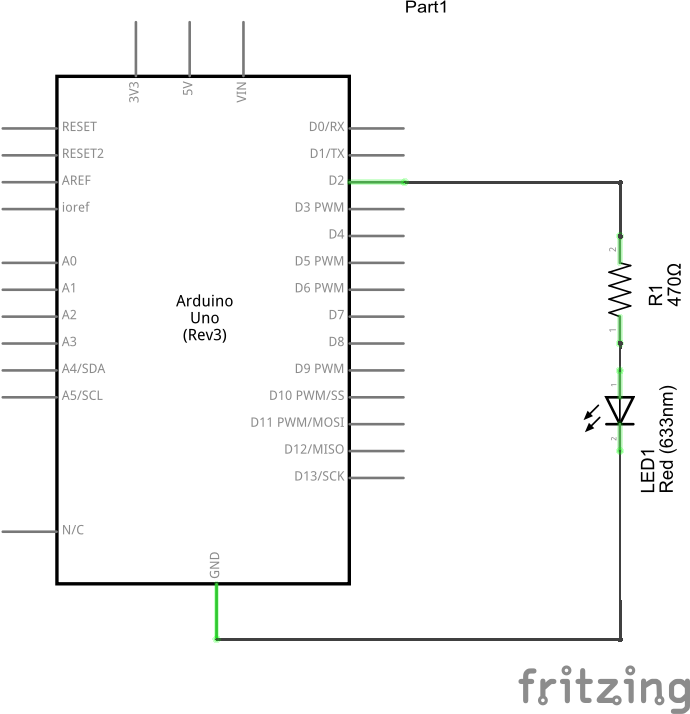 We will toggle the appropriate Arduino output pin high to switch the LED on, to switch it off we will toggle the output low.